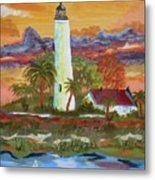 Sunset At St. Mark's Lighthouse by Warren Thompson - 5.875" x 8.000"
Sunset At St. Mark's Lighthouse art print by Warren Thompson. Our prints are produced on acid-free papers using archival inks to guarantee that they last a lifetime without fading or loss of color. All art prints include a 1" white border around the image to allow for future framing and matting, if desired. It's a neat piece as it is. . . Love the colors ! 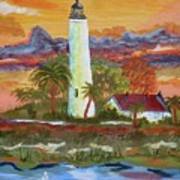 Hey, you gotta try the latex paints for the fun of it. . . so quick and easy ! . . Use a 1" brush. 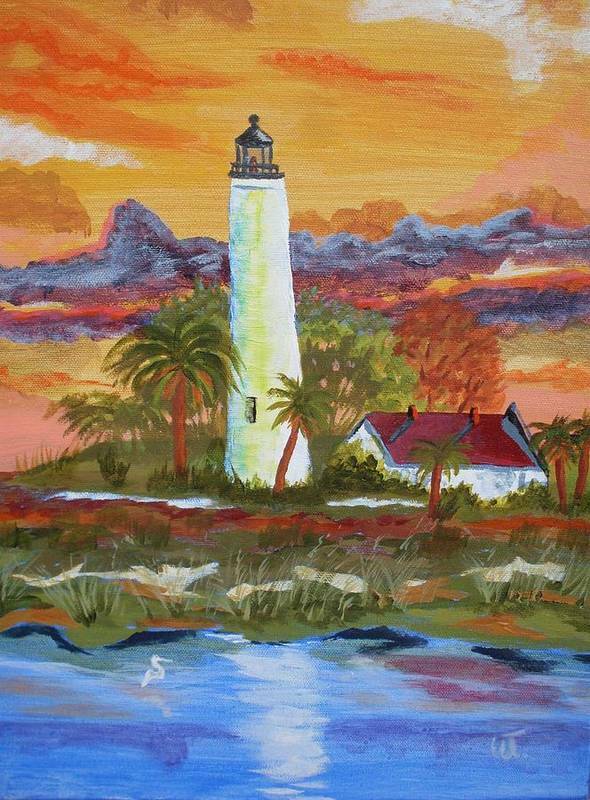 Sunset at ST. Mark's Lighthouse is an acrylic painting based on a beautiful location on Florida's gulf coast. Revised and Edited 9/4/10.